A lighter, safer chassis for an agricultural trailer, gained through replacement of mild steel with high-strength steel, has been named winner of the Swedish Steel Prize University Challenge 2014. 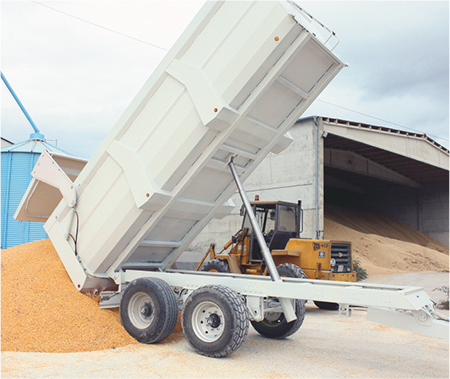 The winning chassis reduces weight by more than 20 percent while improving safety. Two trailer prototypes built for the end customer have demonstrated good performance and received positive reviews. The winning chassis solution, developed by Manuel Genzor, a civil engineer from Spain, was adapted from a trailer chassis originally developed by the Spanish trailer manufacturer Beguer, which in turn contacted the University of Zaragoza in northern Spain for help in testing chassis performance. Genzor, studying for a degree in civil engineering, became interested in the project and used it for his thesis. With Sergio Sanchez from Beguer as his mentor, Genzor tested replacing mild steel parts in the chassis with Domex 700 MC high-strength steel. “This is a good example for both Beguer and SSAB of how a student project can develop into real business development projects,” says Luis Antunano, area sales manager for SSAB Specials Steels in Spain, which provides high-strength advanced steels. Since completing the project, Beguer has built and sold three more trailers based on his prize-winning design.